Today, Saturday June 26th, is Irene’s big day. 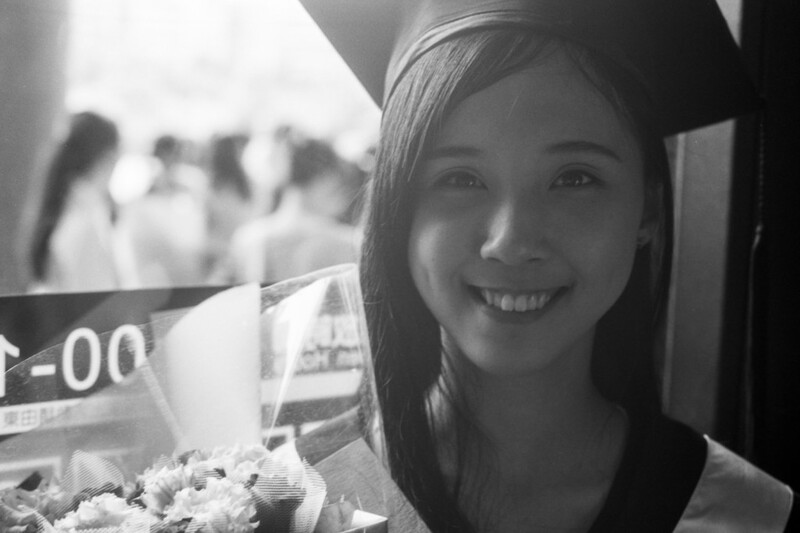 Today, she graduates from a Taipei school with a bachelor degree in international business. Today, Irene is all smiles and happiness as the picture shows. She must be hot in the black robe and the hat. It’s 38°C outside and even hotter inside the crowded Sun Yat Sen memorial hall. Dozens of graduating students, their friends and families rush around the place with balloons, flowers and plush animals of all sizes. Thousands of images are being taking right in these moments showing smiling, happy and graduated people. The heat only seams to disturb me and has no impact on the celebrating masses. It’s still fun to look around and also take some pictures of them. It always surprises me how open the people are towards a stranger with a camera. Today, Irene doesn’t care about tomorrow. The twenty one year old says, she wants to find a job and start working soon but today, it’s all about celebrating what she just finished.